It's a trend in the supplier sector that is covered extensively: Parts conglomerates are separating autonomous vehicle operations from drivetrain business units and old technologies from new, all to prepare for the industry's new era of electrified, connected and self-driving vehicles. In the past two years, "de-mergers" have occurred at such giants as Delphi, Johnson Controls, Autoliv and Faurecia. 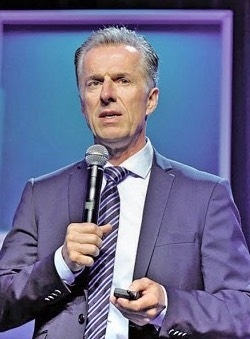 But the thinking at North America's largest supplier, Magna International of Aurora, Ont., is a bit different, CEO Don Walker says. "There has been a trend in that direction," said Walker. "And we've certainly looked at what the pros and cons are. A company typically gets a short-term bump in their share price with a spinoff. But I believe stock price is ultimately driven by free cash flow generation. And to the extent that you will increase that by spinning things off, I guess it makes sense. "But my feeling is that the opposite is true. When you break companies up, you add more overhead, more costs, more distraction. It will be interesting to look back in five years to see if those companies created more value." "Right now," Walker said, "we're quite comfortable with the structure we have."